This weekend is the 33rd annual Greek Food and Cultural Festival in downtown Santa Cruz. This popular event won the Gold Award for “Best Street Festival” in 2013, chosen by the readers of local newspaper Santa Cruz Weekly, and was awarded Silver in 2013 by readers of Good Times. 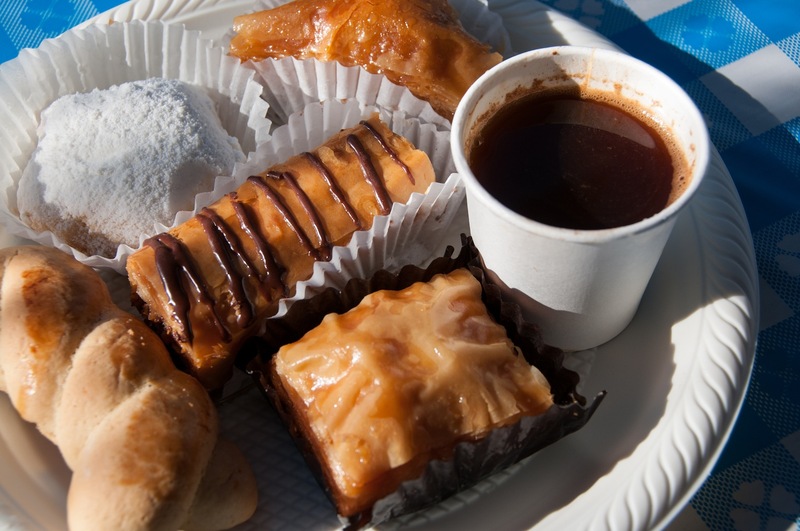 You and your family are invited to the downtown celebration with lots of good food and drinks plus live Greek music and folk dancing; admission is free. It’s located along one block near the Prophet Elias Greek Orthodox Church; the cross streets are Church and Center. The event is the longest-running festival in Santa Cruz County. Other highlights include a Greek marketplace with pottery, clothes, and jewelry, a raffle with prizes including a trip to Greece, and a kids’ area with a “Mt. Olympus climbing wall” plus face painting and crafts. For more information contact (831) 429-6500 or visit http://www.propheteliassantacruz.org/. Fri Sept 6, 5-10 p.m. Sat Sept 7, 11 a.m.-10 p.m.
Sun Sept 8, Noon-8 p.m.